The course is the newest addition from Jack Nicklaus to the Patagonia. Although it is finished and ready to play, it still ha s some issues due to budget but it is a fantastic design in the windy Neuquen, 400kms from Bariloche. 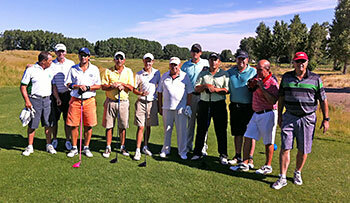 I played the course with a group of local friends names "Los Apostoles del Golf" and I had a great time. The course is very demanding, rough can be a cruel penalty and the movement the greens have is just fantastic. You have everything a good golfer expects from a course: challenge, options, reachable par 5s, one reachable par 4, par 3s of different length and an open place where wind will always be a factor. It will take a couple more years to get maturity but it is a great course, a perfect excuse to stay one night at Neuquen, play it and then drive to Bariloche to play Chapelco Golf and El Desafio, 2 of the greatest courses in Latin America.